While the NASCAR Xfinity Series race hosted by Mid-Ohio Sports Car Course won’t take place until Aug. 14-15, two drivers who will be competing there were able to get in some practice last week, as JR Motorsports drivers Regan Smith and Ben Rhodes were able to take to the track on Tuesday and Wednesday. 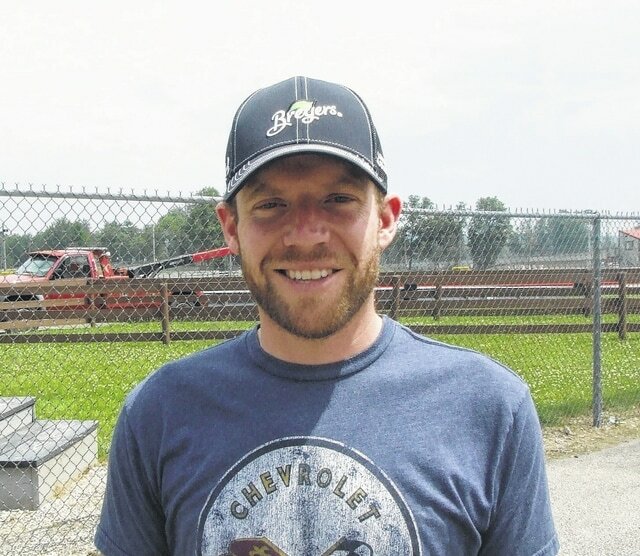 Smith, a veteran of the series who finished second in the overall standings last year after completing the 2013 season in third, has had success at Mid-Ohio during the two years the track has hosted NASCAR. After finishing 15th in 2013, he was second last year. Meanwhile, Rhodes is just getting started in NASCAR. At 18 years old, he currently has run a total of one Xfinity race. However, that event, which took place in Iowa, was a positive experience for him, as he took seventh place. While Rhodes has spent most of his life in racing, starting with Karts as a seven-year old, competing on a road course for a major series will be a new experience for him. As a first-year driver in the Xfinity series, Rhodes is competing in a total of 10 races this year, but also attending as many as possible to continue learning the ropes. After getting a taste of success in his first race, he is hoping to consistently pull off strong performances. Consistent finishes are something that teammate Smith knows about. So far in the season, he is fourth in the series standings. Aside from two races, one of which he did not finish, he has placed between third and 11th every time (a total of 11 top-11 finishes). All the 31-year-old driver needs this year is a win, which he is optimistic will happen soon. Smith noted that it’s hard to predict when a win will come, but that aforementioned consistency does play a big role. While Smith has raced in road courses in the past, NASCAR events are mainly contested on ovals, making practice sessions like this important. Much like Rhodes found his insight valuable, when Smith finds himself struggling, he relies on veteran advice — in his case, noting that long-time driver Ron Fellows is the first person he turns to. While he did say that the chance to practice is valuable, he admitted that there’s no better way to learn how to race a road course other than to actually race on one. “It’s one thing to practice, but in a race with other road course guys, you’ll learn a lot,” he said, noting that factors such as timing pit stops are very important. On many ovals, it’s easy to fall a lap behind pitting on a green flag, while it’s easier to stay on the lead lap doing so on the longer road courses.